My Morning Jacket - Bonnaroo, 2008. From the Internet Archive (IA) this is My Morning Jacket live on the Which Stage at Bonnaroo, USA, back on the 13th June 2008. The Which Stage is basically the second stage and generally features the last performance before that of the headlining act each night. After the headlining act performs, a late-night show often follows here. LeRiche introduces himself - I'm 22 years old and I'm from Port aux Basques. My passion for music began at an early age, first stretching my fingers out on a six-string at the age of one. After years of playing local establishments across the island of Newfoundland, I'm thrilled to be upon my first commercial release, Rain. In this release, I'm supported by a string quartet, percussion and the sound of rain falling (captured on microphone) through an open window at the downtown Toronto studio as the track was being recorded. This will be the first look at new music from my debut EP Quiet Steady which is set for release Summer 2016. The album delves deep into strong memorable melodies at the core of my music. Timber Bones - Travelling Song. And we are told - One hot summer under the shade of a Queenslander indie-rock 5-piece Timber Bones jammed out their first song together. “Travelling Song” was written in celebration of one of Australia’s newest pass-times- “the festival romance.” A side effect of excessive cider consumption and inadequate sun safety the festival romance is a whirlwind of summer dresses, white smoke and young love. The third single from Timber Bones "Travelling Song" is best enjoyed in the company of strangers with inhibitions left back home with your day job. Atlas Lab - Wake Up Slow. 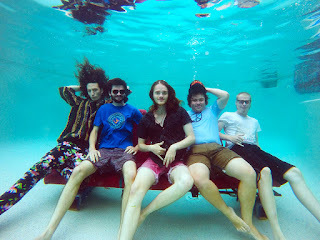 About the band - Like so many stories, Atlas Lab's biography begins with a chance meeting. Alex and Solei met one chilly morning while street performing in Harvard Square. She had her mic and looper, he had a homemade drumset of pots and pans. Before long, they were playing out together. 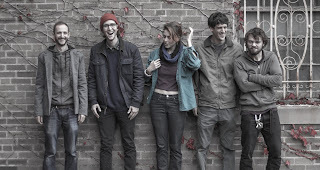 Around the same time, Solei and John were experimenting with adding vocal loops and electronic textures to folk tunes, and Alex and Samm were living together, making ambient electronic music, and performing with local acts. The four came together in a Brighton apartment one afternoon in the winter of 2015 and felt the undefinable thing called chemistry. Prickle - Tell Me Why. 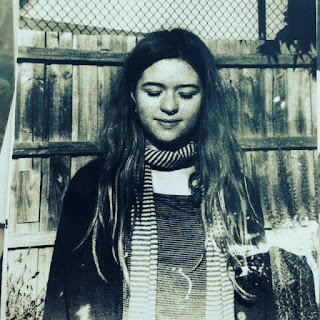 What we are told - Prickle is 17 y/o independent pop rock artist Emily Wilson from Melbourne, Victoria. After spending a few years honing and developing her sound, in search of her ‘unique voice,’ Emily is ready to share her personal perspective. ‘Tell Me Why,’ is her first single. It is a study of contrasting personalities and the thoughts that follow. The honest vocals engage a story telling voice speaking to the listener in conversational style. Initially sketched out with a laid back acoustic feel, the song has now adopted a garage rock 60’s mood with a strong rhythm section and drive. Super8 & Tab - Komorebi. Background - Since their collaboration in 2005, Super8 & Tab have released two Beatport trance number one artist albums, played at major music festivals all over the world, including EDC, Ultra, Tomorrowland and A State of Trance and been nominated ‘Best Breakthrough DJ’ at the Miami WMC IDMA Awards. 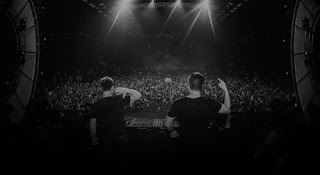 Most recently, the duo was signed to colossal record company Armada Music and shows no signs of slowing down.